FRANKFURT – Sales of Daimler AG's Mercedes-Benz Cars rose 6.5 percent to 130,824 vehicles in June, the automaker said Tuesday. Strong growth in developing markets, and a rise in the automaker's second-strongest market, the U.S., helped Mercedes offset a sales decline in Europe, including its German home market. Global sales for Mercedes-Benz brand in June were 120,510 units, a rise of 6.4 percent and a new record for June sales. Smart deliveries rose 7.9 percent to 10,314 units last month. The strong sales continued to be led by demand for luxury cars in emerging markets such as China, India and Russia. ''We are on course this year to hit our goal of achieving the highest ever sales of over 1.3 million Mercedes Benz and Smart cars,'' Mercedes sales chief, Joachim Schmidt, said in a statement. Mercedes-Benz sales in June rose 40 percent in India, while Russia saw strong growth with an increase of 70 percent, Mercedes said. Sales in China, jumped 19 percent to 16,278 units. In the U.S., Mercedes-Benz sales edged up 1.8 percent to 20,652 units. In its German home market, the automaker sold 26,747 cars in May, a fall of 0.8 percent. Overall in western Europe, sales of Mercedes cars fell 1.8 percent last month to 57,061 units. Sales for the first six months of the year were 610,531 units for Mercedes, a rise of 9.7 percent over 2010 figures and 54,801 for Smart, a rise of 8.0 percent. 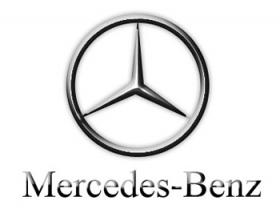 Overall sales for Mercedes-Benz Cars between January and June totaled 665,332 units, a rise of 9.5 percent.